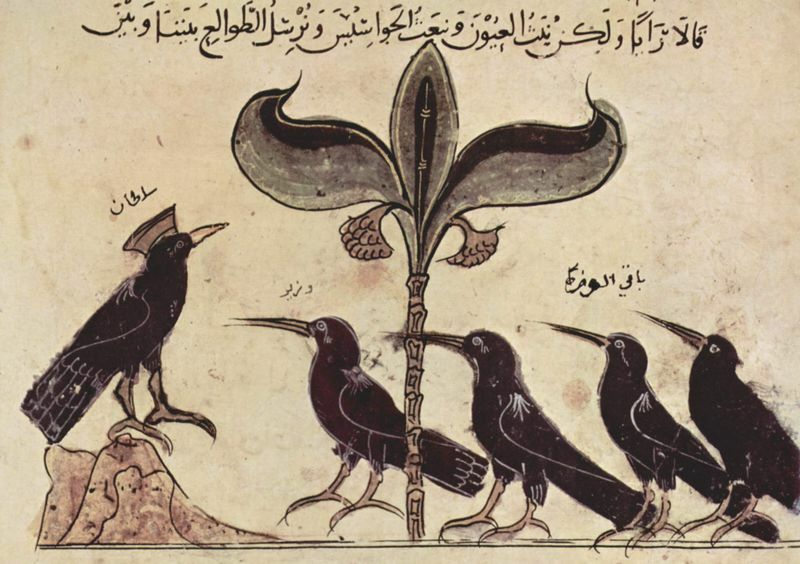 ▲ Meyoko illustrations: Kākolūkīyam " Of Crows and Owls"
Kākolūkīyam " Of Crows and Owls"
From a Syrian painting. 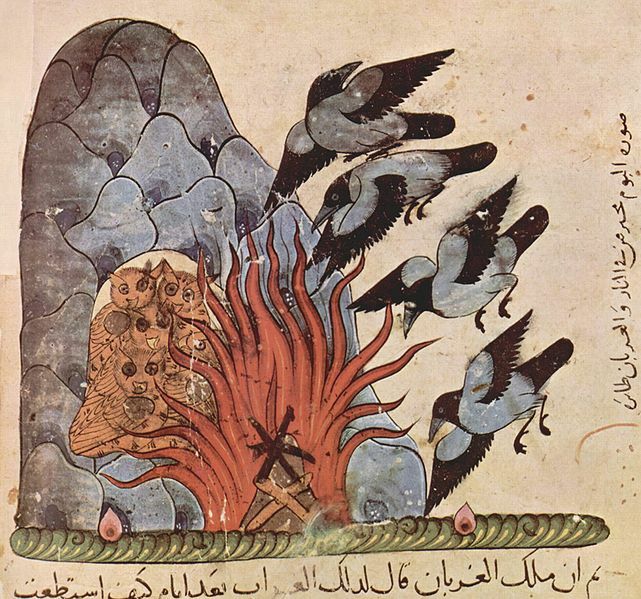 The owls are burned to death by the crows. The Panchatantra (IAST: Pañcatantra, Sanskrit: पञ्चतन्त्र, !پنچ تنتر}} 'Five Principles') is an ancient Indian inter-related collection of animal fables in verse and prose, in a frame story format. The original Sanskrit work, which some scholars believe was composed in the 3rd century BCE, is attributed to Vishnu Sharma. It is based on older oral traditions, including "animal fables that are as old as we are able to imagine", including the Buddhist Jataka Tales. It is "certainly the most frequently translated literary product of India", and these stories are among the most widely known in the world . Kākolūkīyam, Of Crows and Owls Traditional enemies, the crows and the owls are at war. One of the crows pretends to be an outcast from his own group to gain entry into the rival owl group; he learns their secrets and vulnerabilities. He later summons his group of crows to set fire to all entrances to the cave where the owls live and the creatures suffocate to death.